Clear nasal congestion and relieve blocked noses with the safe and easy-to-use Steam Inhaler with BreathEze. 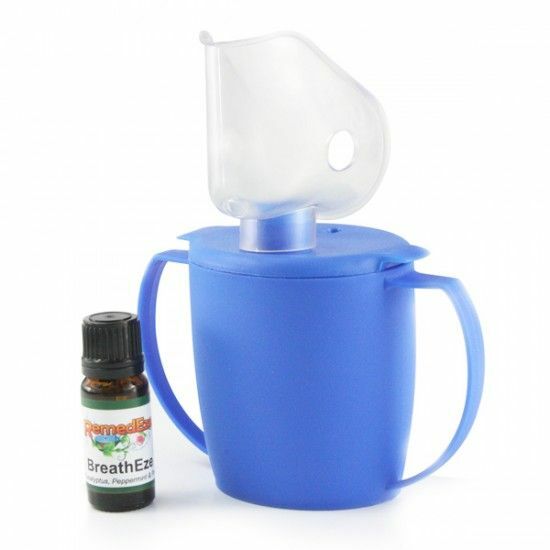 Clear nasal congestion and relieve blocked noses with the safe and easy-to-use Steam Inhaler with BreathEze Aromatherapy Oil. BreathEze is an ideal mix of 3 essential oils that are noted for their alleviation of ailments related to ear, nose and throat.